Planning and budgeting (Marketing Performance Management) offers powerful marketing planning, budgeting and analytics capabilities that integrate with your marketing, CRM and finance systems to enable better control, execution and measurement of your marketing activities. 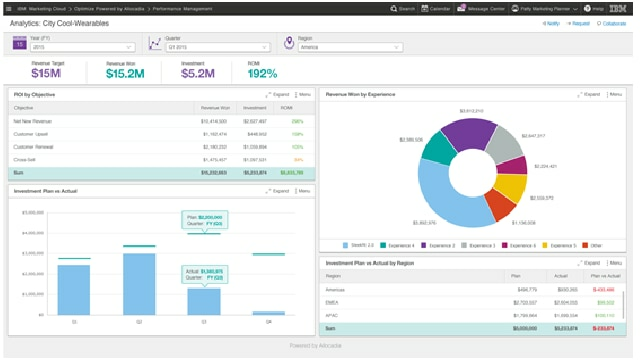 This offering gives CMOs unprecedented real-time visibility into plans, investments and results. Make better strategic decisions and turn your marketing organization into an optimized, driver of revenue. Integrate with CRM, Finance and other operational data to get complete visibility into Marketing ROI.